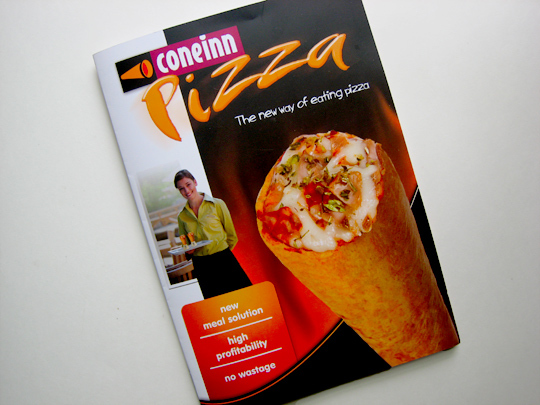 At the Fancy Food Show, we couldn't help but be impressed by the display for pizza in a cone by Coneinn, that pronounces itself to be "a new way of eating." 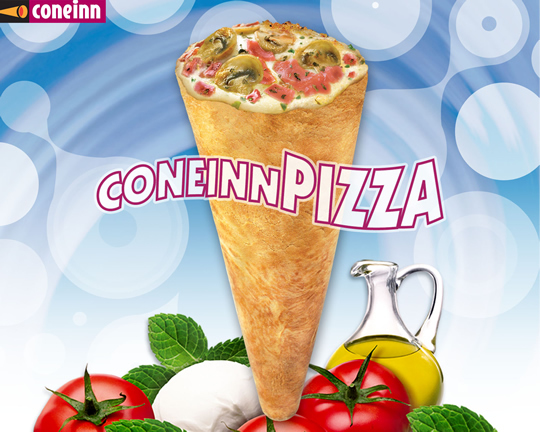 If we are to believe Coneinn, the future is now, and it is cone-shaped. 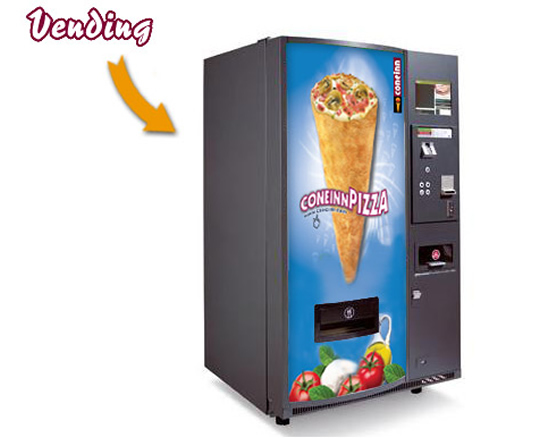 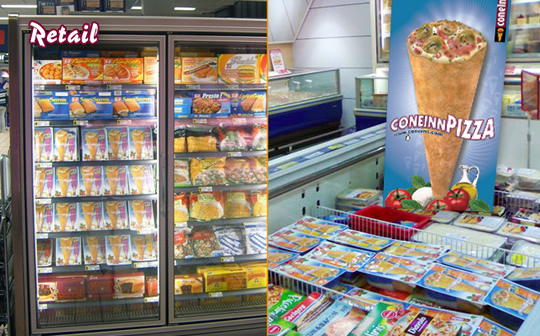 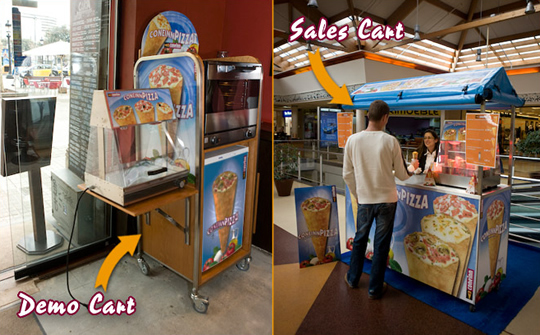 Based out of Spain, the land of pizza experts, Coneinn's got big plans, with a range of products from the retail frozen variety, to indoor and outdoor trolleys, to glass display cases a la 7-11, to the holy grail that is vending machines. 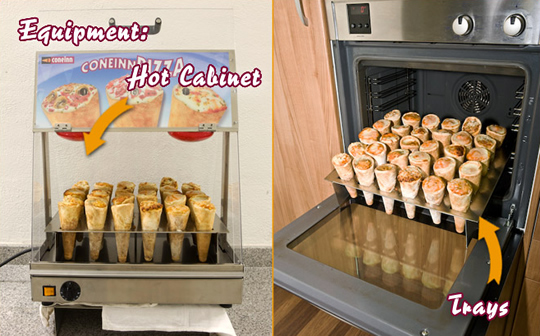 We didn't get to taste the pizza cones because they didn't bring any actual product to the Fancy Food Show, but we can only imagine the hot molten lava that is a cone full of pizza and cheese. 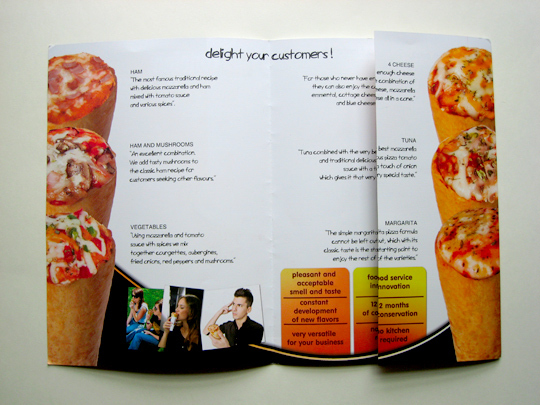 But we did pick up a pamphlet, and beyond the charming Engrish that promotes the "pleasant and acceptable smell and taste" of the Coneinn pizza cone, we learn of the six varieties: ham, ham and mushrooms, vegetables, margarita, tuna, and most bizarrely, four cheese, made from Emmental, cottage cheese, mozzarella, and blue cheese. 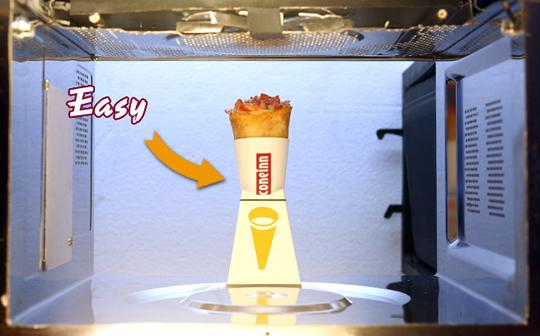 For home use, the Coneinn pizza cone comes with a cardboard stand that allows for easy microwaving, taking only two to three minutes to cook, or, alternatively, you can toss it in the oven for 20 minutes. 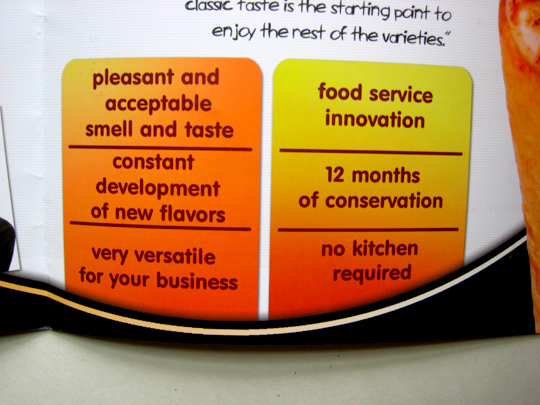 Only after several years of thorough market studies, the final format of our business strategy came to light: A cone. 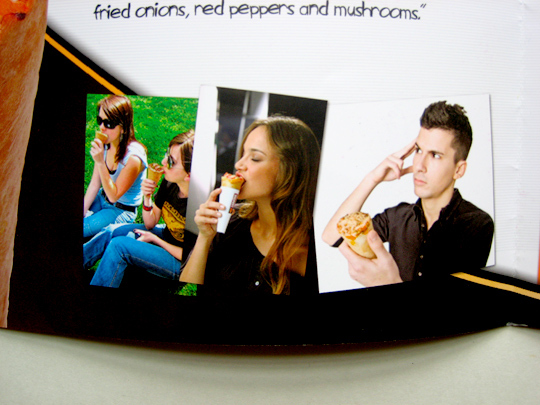 An innovative but simple concept that will create a new way of eating.